You can pay for your calendar in a number of ways. If you have a PayPal account you can use your credit or debit card by clicking on the "Buy Now" link below, or you can pay as a PayPal guest without setting up an account. Setting up a PayPal account is quick and easy. Once you are on the page you need to enter the amount you wish to pay in the box in the top left corner (as different people want different combinations it is not possible at this time to list them all). For more details on payment amounts see this page. 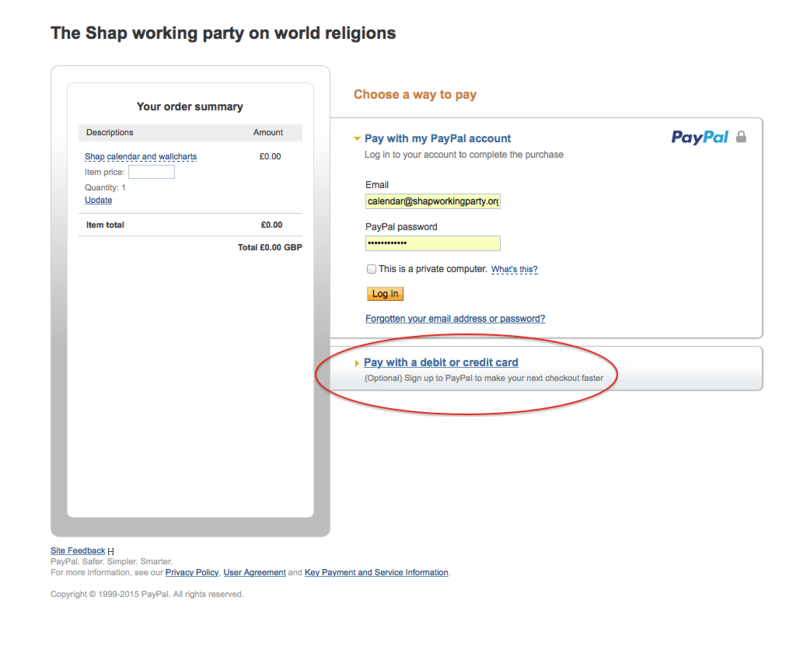 You can also pay by credit card or debit card without a PayPal account from the same page. Click on the "Buy Now" link above and then on the link shown (Pay with a debit of credit card). NOTE: We do not have the capacity to take credit or debit card payments by other means. Whatever method you use (except for PayPal) can you ensure you also send an email to calendar@shapworkingparty.org.uk simply saying PAID; this will allow us to record your payment.